Rutledge is so damned addictive. 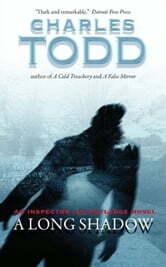 If the literary world offered up nothing more than Todd's inspector for the rest of my days.....I'd be satisfied! This is a great story. It captured the complex time of recovery following WW1.Descriptions of the English countryside and weather conditions are detailed and help set a mood .